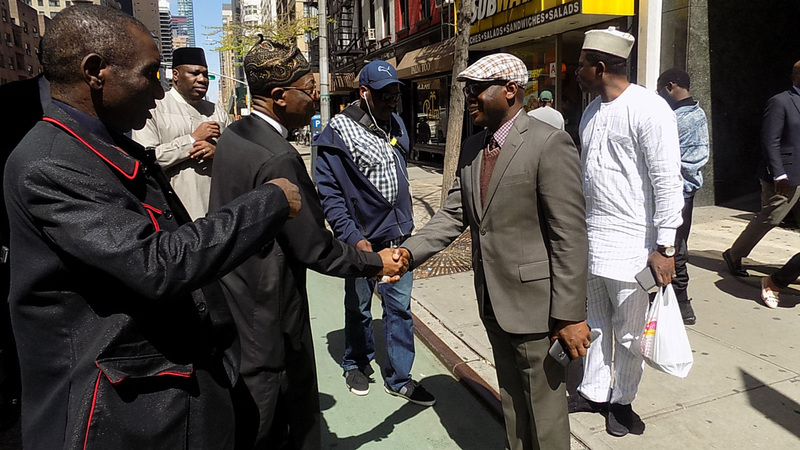 Alhaji Lai Mohammed, the Minister of Information and Culture, is in the U.S., speaking on the achievements of President Muhammadu Buhari’s administration.President Buhari is due in the US at the weekend for a meeting with President Donald Trump on 30 April in Washington D.C..Mohammed, since his arrival, has been actively engaged with the media and some think-tanks.He said the Buhari’s administration has a lot of success stories, which needed to be told. The minister was first in Washington, D.C. and later in New York, where he explained that Buhari’s administration has done very well and recorded so many achievements in less than three years. “I’ve been to VOA – Voice of America, Washington Post, Washington Times; I’ve been to Al Jazeera. I’ve met a couple of think-tanks, the Atlantic Council and also the Foreign Relations Council. “In New York here, today, I’ve met with Reuters. I’ve met with Wall Street Journal. Today, I’m meeting with CNN and also the New York Times and probably the AP. “The whole idea is to give the government’s perspectives and narratives on the development and progress the government has made,” Mohammed told the Correspondent of the News Agency of Nigeria (NAN). Mohammed said he was able to explain that the administration has done very well in pushing back insurgency especially given what the situation was as at May 2015. He said at that time, about 20 out of 37 Local Governments in Borno alone was under the effective occupation of Boko Haram and about two in Yobe, and about four in Adamawa. “Today not one single inch of land is occupied by Boko Haram,” he said.Mohammed said he drew attention to the fact that before 2015, Abuja, the Federal Capital Territory, was not safe as the Boko Haram breached security more than five times. “Generally I was able to give a good account of what we’ve done in the economy,” he said adding, “the figures are there to see what we’ve done”. The minister said: “We were in recession, within two quarters we came out of recession, largely because of the Economic and Recovery Growth Plan of the government. “And today, we’ve been able to double our foreign exchange from about 23.6 billion dollars in 2015 to about 47 billion dollars.“We’ve in one year been able to climb 24 steps in the ladder of World Bank ranking of Ease of Doing Business. “Our (Nigerian) Stock Exchange has been rated as one of the six best performing in the world and return on investment was as high as 43 per cent.“And in the area of the economy again, we’ve been able to push down inflation for 11 consecutive months from 18 per cent to now about 13.5 per cent”. In the area of diversification, Mohammed said the Anchor-Borrower Programme was a big success adding, it has added additional almost six million rice farmers and cut down on importation of rice from 644,000 metric tonnes 24 metric tonnes. “We’ve increased the number of Integrated Rice Processing Mills from 13 to 21 and 10 new ones were just approved on Wednesday by the Federal Executive Council and our diversification programme is working very well. “The latest figure showed that apart from agriculture, mines, metal ore, electricity, gas, creative industry, are all reading positively.“We discussed also the issue of corruption and how this government is fighting corruption and how it is important for us to remain focus”. On the protracted attacks in parts of the country, Mohammed blamed those opposed to the re-election of Buhari.“Most of the attacks we receive today are from people who have morbid fear of the President coming back in 2019,” he said. NAN reports that Mohammed, while in New York, also visited the Nigeria House where he briefed senior officials of the Consulate and was received by Nigeria’s Consul-General, Tanko Suleiman and other officials of the Consulate.